The story of small town Grovers Corners, New Hampshire, is told through the everyday lives of it’s citizens. 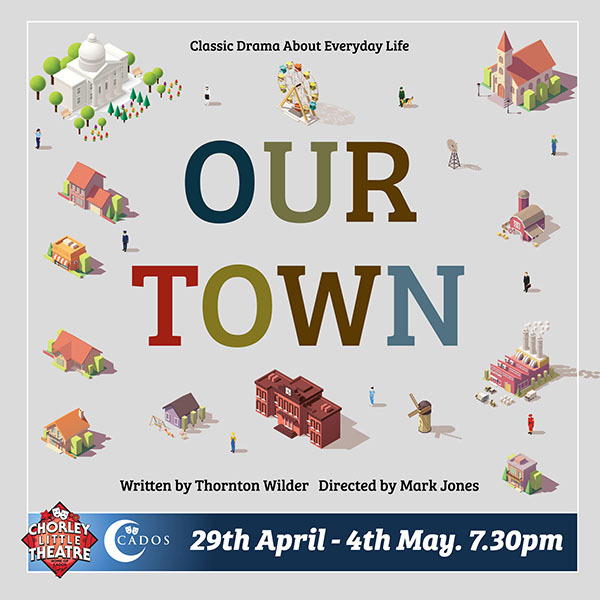 Starting in the year 1901 the audience is introduced to Professor Willard, who talks about the town’s history, then to paper boy Joe, Doctor Gibbs, milkman Howie and on with their families. As the time passes we meet the rest of the town, taking in school days, weddings, sport, romance and work, love and loss. The patchwork of stories and people create a touching production about treasuring the moment and appreciating life. First performed in 1938, this won the Pulitzer Prize for Drama and is considered one of the greatest American plays of all time.